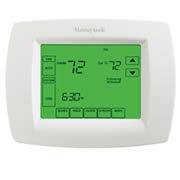 Introducing the Honeywell Lyric thermostat. 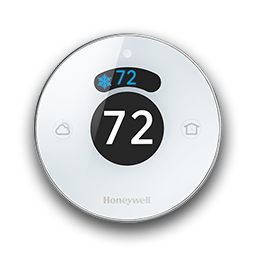 The next generation of smart technology from the company that invented The Round thermostat. No learning curve, no rigid scheduling —just comfort and control. Honeywell’s VisionPRO™ 8000 is effortless to use. Its intuitive logic and menu-driven programming respond to your choices and schedule for optimal comfort and energy savings. VisionPRO offers you top-of-the-line features like touchscreen interaction, a real-time clock and a large, easy-to-read back lit display. If you want your home to feel as comfortable as it looks, then VisionPRO is the thermostat for you. You’ll enjoy the convenience, energy savings and consistent comfort for years to come.